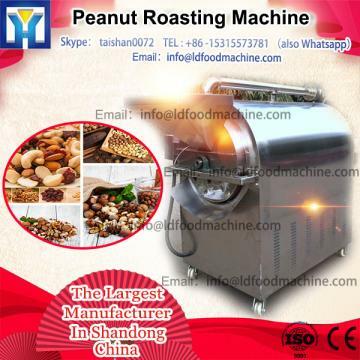 the roller rolling type structure, after drying of the peanut by hopper into the host, remove the red by high speed rotation rub roll, have fan sucked out, after peeling red peanuts , the white peanuts will come out premenstrual mouth. 1, before starting, firstly check whether there is any loose on the transmission parts, in a timely manner to eliminate abnormal noise. 2, the connection power electric parts, have without damage leakage phenomenon, check after normal, open fan, first opened after the host. 3, the material into the hopper after baking dry, into the host to increase the material before the door closed, organic glass through the above observations within peanut peeling machine is achieved, the former is expected to gradually lower discharging door. 4, peanut drying effect, high and low water content, directly affect the peeling rate, according to the peeling effect to raise or lower discharging door. 5, peeling effect is good, the door down, fast discharging high yield, and improve the material door prolonged peeling. 6, new rub roll is very crude, just is higher than specification parameters of normal, use for a period of time after peeling effect is better. 7, when regular inspection parts, bolts, belts, host, fan dirt to clear in time, so as not to affect the normal use, keep sanitation clean.